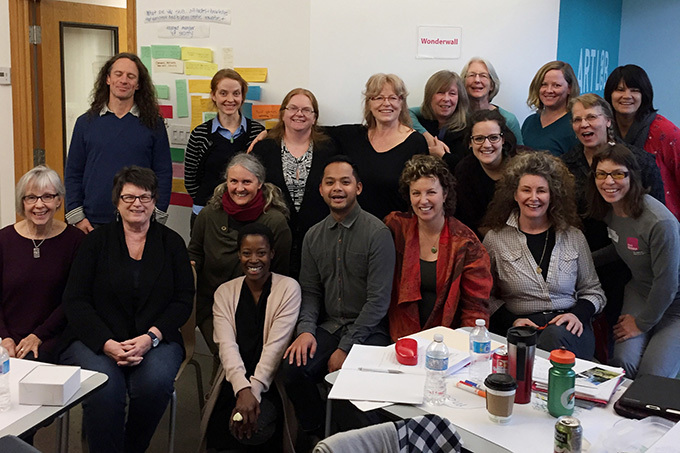 On November 14-18, ArtStarts offered the Arts Integration Learning Lab for the first time to artists in BC's Vancouver Island and Coast region. Working with Infusion Program Manager Elfred Matining and Teaching Artist Ewa Sniatycka, 16 artists from Vancouver Island, Salt Spring Island and the Sunshine Coast were successfully accepted. An arts administrator from the Alberni Valley and a community leader from the Okanagan were also invited to participate in the week-long intensive. The group convened for the week at the Nanaimo Art Gallery where they explored how to take their creative practice into classrooms and were introduced to concepts and resources to help them prepare for future Artists in the Classroom grant-writing and residencies. Throughout the week, artists developed an arts integrated project specific to their own art practice, while working collaboratively to understand and embody arts integration as an approach to teaching. 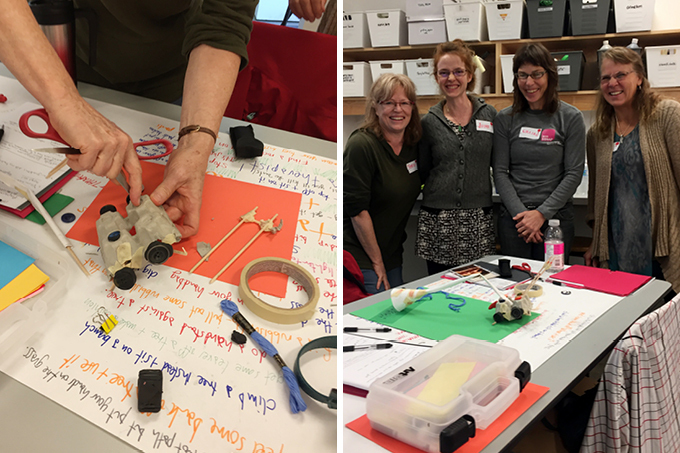 Through hands-on, experiential workshops, participants explored Big Ideas and Core Competencies from the redeisgned BC Curriculum, an introduction to what a Constructivist classroom could look like through art residencies and the First Peoples Principles of Learning. The event was an amazing week of collaborative learning and sharing perspectives and ideas. Thanks to all the artists in this very successful Arts Integration Learning Lab. To find out about future Arts Integration Learning Labs and other learning opportunities for artists, visit artstarts.com/infusion and be sure to sign up for ArtStarts' eNewsletter for Artists.